I have been on the hunt for some prints for my daughter’s bedroom wall. I wanted something sweet and unfussy that would appeal to her. My search ended with the Sarah Jane collection. I was immediately drawn to a number of the Sarah Jane illustrations simply because they looked like my daughter, both figuratively and literally. 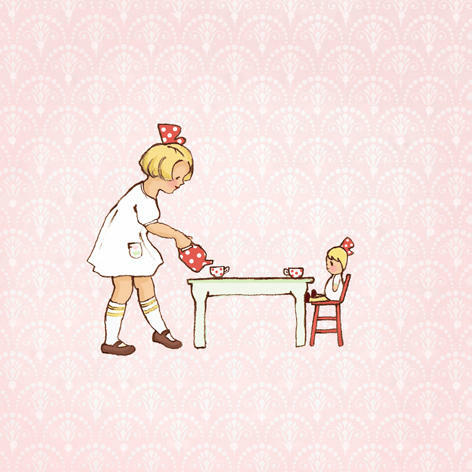 With bobbed blonde hair, Mary Janes on her feet and busy playing tea parties, the ‘Addie and Ella’ prints could well be drawings of my little girl. 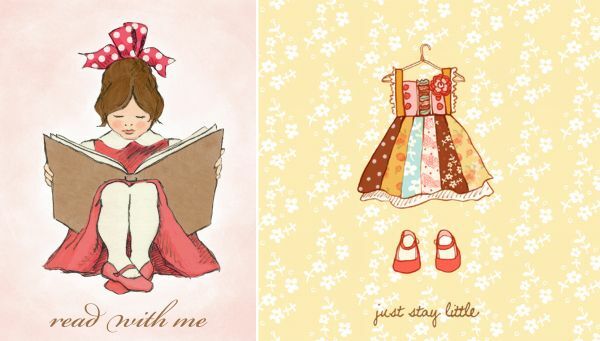 Sarah Jane illustrations are inspired by children’s vintage storybooks but are completely at home on modern bedroom walls – the use of pale blues and deep reds, ‘wallpaper prints’ and smart fonts perfectly combine the old and the new. 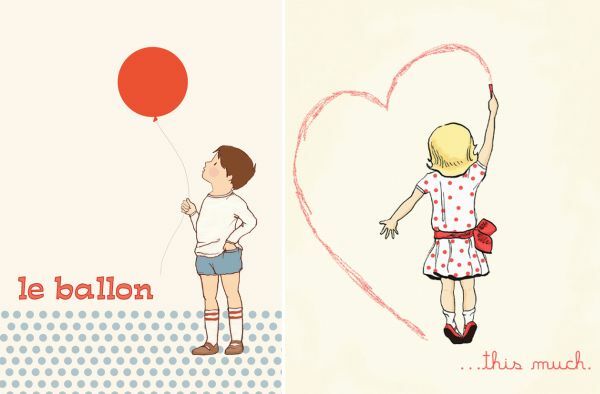 I can also see touches of my beloved 1970s swap cards in there – the little girl with long brown hair, ready to go swimming is reminiscent of the kind of thing I admired when I was very little. I am obviously biased toward all the sweet little blonde-headed girls in the collection but for a nursery wall the ‘Three Bears’ series of prints is superb. 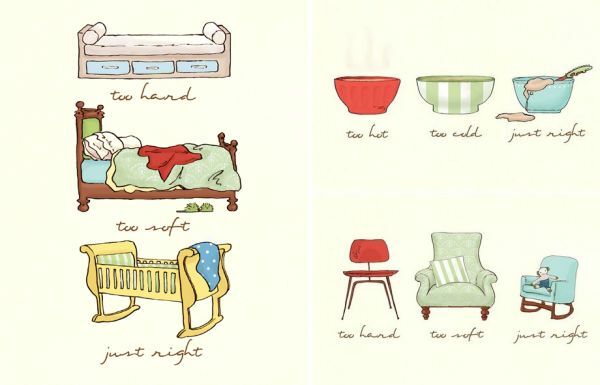 It’s both vintage and modern – look at the charming drawings of the ‘too hard’ chair and ‘too hard’ bed. Sarah Jane vintage prints are available exclusively in Australia through Gelati Art for $30 (unframed) or $50-$55 (framed) a piece.